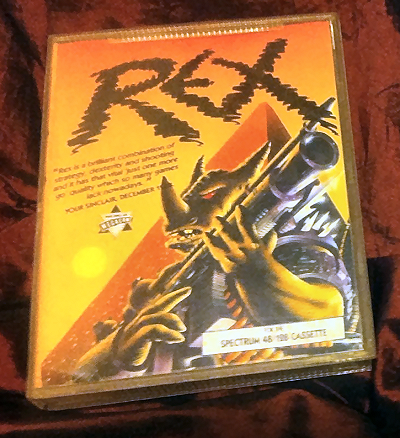 Released late in the Spectrum era, Rex was a unique, brilliantly designed, and quite frankly spectacular game. It's a sprawling platformer with some of the best graphics on the system, and a rare game with an ecological core and an armed rhinoceros for a star. Said glorious and highly collectible game can be grabbed via this Rex (ZX Spectrum) eBay auction. The game comes complete in box with inlay and tape. Seller ships only within the UK.